We need very little coaxing or prompting to be reminded that it’s LUNCH TIME! The blood sugar starts going down, the appetite starts going up and well…just like that…it’s time to eat! Sometimes these feelings come on fast and furious. The secret is to be prepared! If you are not anticipating this…you will grab anything and end up habitually sabotaging your health. We are often asked “What do you eat for lunch?” and right behind that is “What do you send for lunch for your kids?” Simply stated…our leftovers! Dinner the night before is intentionally lunch the next day. 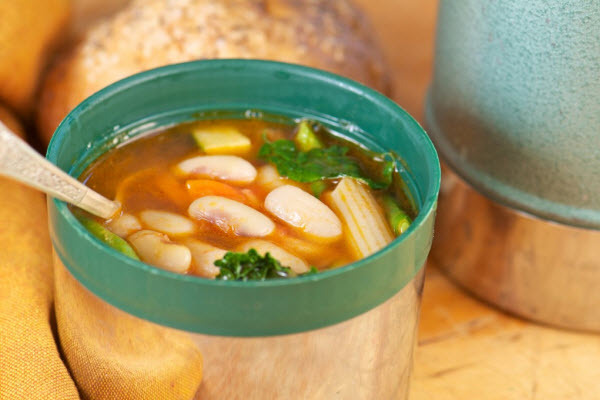 Warm foods nestle into a thermos and when the top is removed, lunch brings your kiddos back to the home cooking they hopefully helped to participate in the night before. What do we do when there are only a small portion of leftovers? We still serve them up! I also use that as an oppurtunity to add a salad, a cup of soup or extra protein like eggs, nuts or cheese and crackers. Sandwiches sometimes accompany our kids, too. We use whole grain sprouted grain bread and quality/non-nitrate, non GMO & organic cured meats. Sometimes our leftovers are nestled between 2 pieces of bread. The fried egg sandwich always gets rave reviews. Kids especially love variety so make it fresh & exciting for them. I add dark chocolate or a dessert once in a while along with their power packed lunches. Q: MMMMMmmmmm! That smells good! What is that? A: Your child will be able to explain what it is, because they helped to prepare it! Q: EWWWW! What is that?? A: Lunch. My Mom/Dad/Grandma/Uncle George made it especially for me. Q: That looks like/ smells like…. Soon enough, they are complimenting and asking to try a bite. This is a great way to teach self confidence and leadership. Let’s face it…no one ever looked like a million bucks eating off the dollar menu! 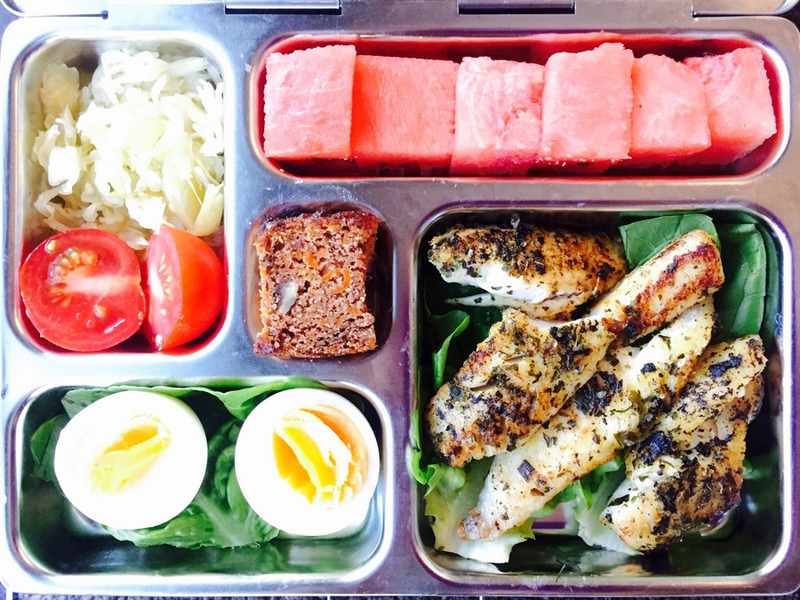 For more lunch ideas….click here for our top 10 ideas. Stay tuned next time when we talk about juicing and making the most out of it!